A sound of ethereal alternative art rock/folk, a fairytale world that hints at Florence + The Machine and AURORA, Cheshire-born Megan Dixon-Hood has begun to make waves on the music scene and the end of 2018 saw her release her new EP ‘Tales From The North’, a set of songs inspired by folk tales, stories and nature including ‘Sea of Ice’ and ‘Drown’, both accompanied by enchanting music videos. 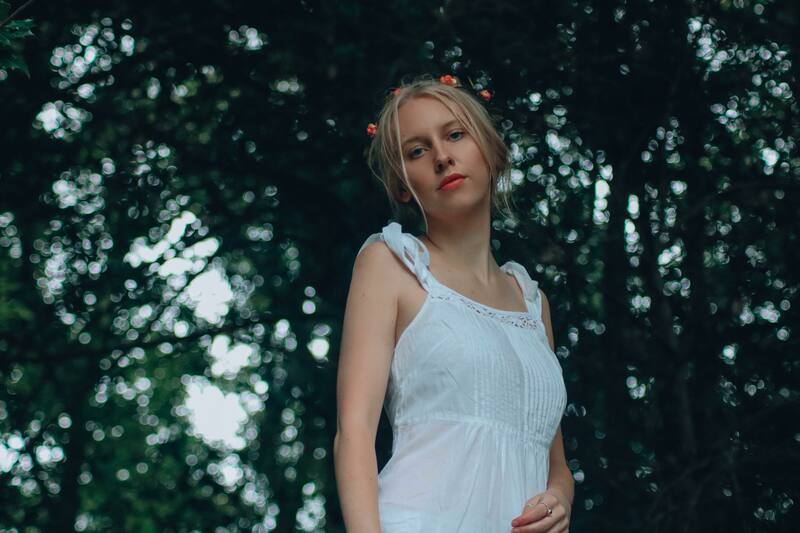 Over the past couple of years, Megan has carried out a busy festival schedule including Rock the Farm, Great Escape Festival, Cornbury, Glass Butter Beach, Middlewich Folk Festival, Sidmouth Fringe Festival and supported Rag’N’Bone Man. She recently collaborated with Manchester’s ‘The Untold Orchestra’ to bring her songs to life in another way with the help of the 18-piece orchestra and her band for her latest release. You can find Megan on Facebook here, Instagram here and visit her website for tour dates.